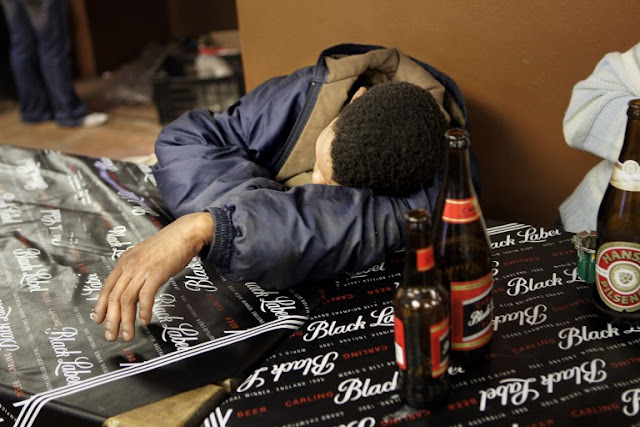 Is alcohol really destroying the future of our children in South Africa - as scientists say the country has the highest recorded rate of foetal alcohol syndrome (FAS) in the world! Findings show that as much as one in 10 people is affected by the FAS spectrum of related disorders. For World Foetal Alcohol Syndrome Day, on Friday, 9 September, the South African Breastmilk Reserve is encouraging people to support women abstaining from alcohol during pregnancy and breastfeeding. Dr Mhleli Masango, medical director of the Breastmilk Reserve, said foetal alcohol syndrome was a widespread and persistent problem of South Africa. “While there is no cure for FAS, it is entirely preventable. All that is needed are interventions to educate and help mothers who struggle with alcohol abuse,” said Masango. Children born with FAS are underweight and stunted or short for their age, have lower IQ scores – around 70 compared to the average of 100 – and struggle with basic life skills like hand­ling money, remembering things and understanding the consequences of their actions. Children with FAS problems drop out of school more often, and are much more likely to be involved in crime before the age of 21. The effects of FAS last a lifetime so when sufferers reach adulthood, many are unable to find or keep employment, suffer mental health problems and abuse drugs or alcohol. But FAS can be completely avoided if women stop drinking any alcohol during pregnancy. Masango warned that there is no “safe” amount of alcohol during pregnancy – it should be avoided completely – because even small amounts of alcohol cause permanent brain damage to the foetus. While the solution is simple, some mothers struggle to avoid alcohol. Alcoholism, poverty or peer pressure may lead a mother to drink even after she knows she’s pregnant. “Friends, family and others must support every pregnant women’s need to avoid alcohol,” he said. “While a baby cannot develop FAS from ingesting alcohol in breastmilk, excessive amounts can still cause harm.